That Napoleon Bonaparte, he simply can’t leave well enough alone. He already conquered Malta. Most of the Maltese were even okay with it. But then he started disassembling the Maltese nobility and restricting the church. This displeased Dun Mikiel Xerri, and it was on this date in 1799 that Xerri was shot dead for spearheading a Maltese revolt against the French. Born on September 29, 1737 in Zebbug, Malta, Xerri studied as a young man at various universities throughout Europe. Learned, he becme a Roman Catholic priest and dabbled in both philosophy and mathematics, living warmly under the rule of The Knights of St. John. Then, Napoleon came. It was 1798 and Napoleon’s fleet was traveling to Egypt on expedition. Napoleon asked for safe harbor on Malta to resupply his ships. The Maltese refused him water and so Napoleon ordered a division of troops up to Valletta, the Maltese capital city. Ferdinand von Hompesch au Bolheim, the 71st Grand Master of the Order of St. John, thought again on his stance on the water issue but Napoleon was already beginning to be entrenched in Maltese life, looting the Order’s assets and administering control. Not wanting to fight fellow Christians (the French), Hompesch did little to quell the influx of French soldiers. In fact, he quickly signed a treaty handing over sovereignty of the Island of Malta to the French Republic. This initially pleased some Maltese, tired of Knight rule, but the honeymoon didn’t last long. Xerri, and many others, believed a revolt was the only way to regain people’s rights due to the fact that the rights of Maltese nobility were figuratively stripped, and the treasures of the Maltese church literally so. Outraged Maltese rose against the French garrison headquartered in Notabile. Outraged Maltese formed a National Assembly. 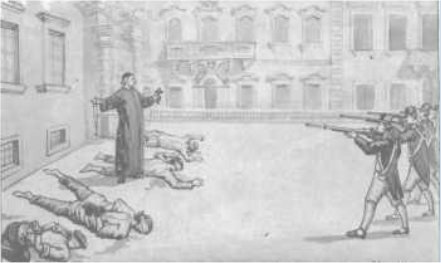 Outraged Maltese raised open rebellion on the islands. The French retreated to the fortified cities around the harbor where their ships were anchored. The Maltese, in arms, implored the Kingdom of the Two Sicilies (run by King Ferdinand I) and Great Britain (then under the rule of King George III). It was to no avail. During the blockades, hundreds of people, Maltese and French alike, died from starvation and deprivation. Desperate, within the fortress, Xerri the patriot and others decided to attack French forces in Valletta and Cottonera. The plot, however, was discovered by the French and before it could be executed, 49 people were arrested for the plotted insurrection, Xerri among them. 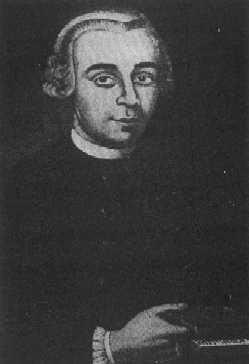 The archbishop of Malta, Vincenzo Labini, met with Xerri and Xerri’s companions the morning of January 17, 1799. Prayers were offered, quiet words of salvation exchanged. Xerri was taken from Fort Saint Elmo to the Palace Square. French troops awaited him. Xerri, moments from death, gave a silver watch to the official on duty. He asked to be shot through the heart. “May God have pity on us!” he shouted with the others. “Long live Malta!” He was then shot dead, taken away, and buried near the Church of Saint Publius in Floriana. Malta did not gain its independence until September 21, 1964.